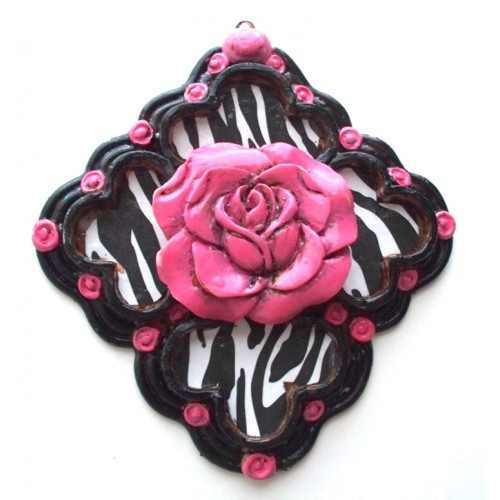 This necklace features a large zebra diamond shapped with a pink rose pendant. 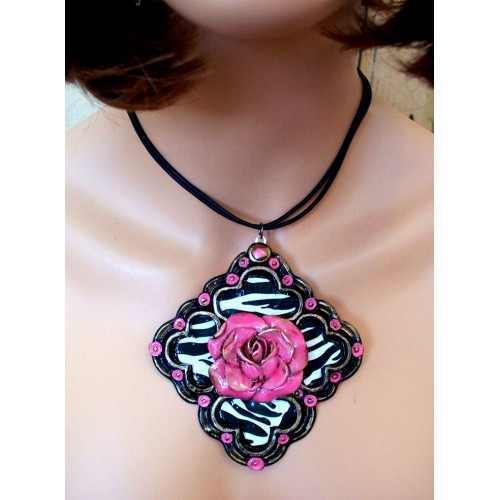 These are sculpted originals molded into jewelry resin and then hand painted. Great for people who like to make "the statement", but don't like the weight. 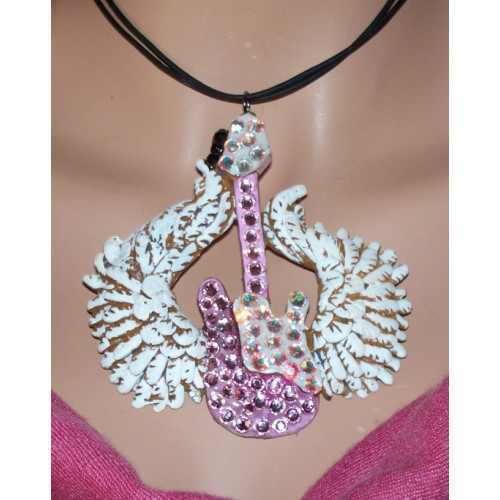 The pendant measurements are approx. 4" W x 4" T.